You know those movies that just make you feel good when they’re done? Well 2014 has seen quite a few of them, like Belle, The Fault In Our Stars, If I Stay, The 100 Foot Journey etc. 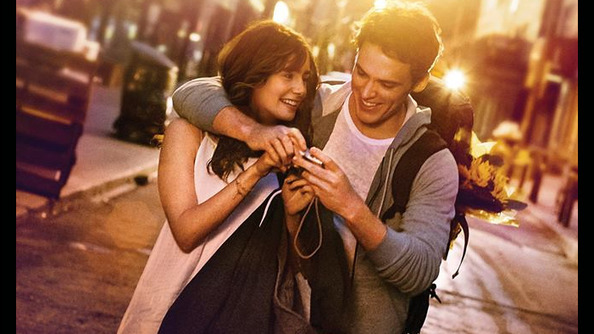 Latest in line is Love, Rosie, based on Cecilia Ahern’s book Where Rainbows End. As with PS I Love You, the script is quite different from the novel, but thankfully this time no one attempted to do an Irish accent (yes I’m looking at you Gerard Butler). 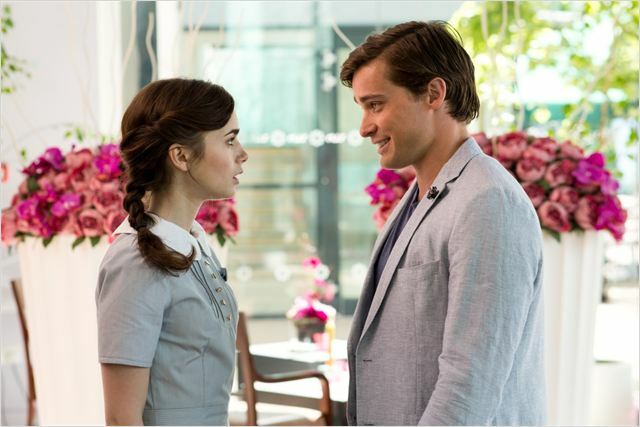 Somewhere in the London suburbs, Rosie Dunne (Lily Collins) and Alex Stewart (Sam Claflin) are growing up the best of friends. From notes passed in school to weird dreams shared, these two won’t ever leave each other’s sides. Their life is all planned out: move to Boston so Alex can go to Harvard and Rosie to Boston College, then move back and make their dreams come true, Rosie opening a hotel and Alex becoming a doctor. Can life ever be that simple? After sharing a drunken kiss at Rosie’s 18’s birthday party, things slowly start to change. Unable to remember what happened, Rosie unknowingly pushes Alex away and into the arms of high school babe Bethany Williams (Suki Waterhouse) while she allows herself to be swept off her feet by class hottie Greg (Christian Cooke). But as the school year finishes and life starts to speed up, events beyond Rosie’s control change everything she ever wanted. Pregnant with Greg’s child (the result of a hilarious condom mishap), Rosie decides to delay her departure to Boston without telling Alex. Yet when the baby is born she ends up keeping it and stays at home with new-found friend Ruby (Jaime Winstone) and baby Katie. When Alex finds out the reason she hasn’t moved to Boston, he’s disappointed that Rosie hasn’t confided in him, even if it was for his own good. Fast-forward a few years and Rosie has moved out of her parents’ house into a small flat with Katie. She works as a cleaner in a local hotel where Ruby works as well, when suddenly Greg returns from Ibiza, apparently desperate to be a part of his daughter’s life. On the other side of the pond, Alex is living the high-life with his girlfriend Sally (Tamsin Egerton). Will Alex and Rosie manage to stay friends through their frequent ups and downs? Will they realise that there might be more to their relationship? Will they have the courage to choose each other or find someone else? The plot isn’t particularly knew, nor do we expect anything less than the perfect happy ending. And yet, the movie works incredibly well, driven by a strong cast and good writing. Collins and Claflin have amazing chemistry, the kind that makes your skin prickle just watching it on screen, and the dialogues and situations work incredibly well. The story is also very grounded, focusing on things we know and care about, like teenage pregnancy, feeling like you’re not living up to your potential, choosing a wrong partner, losing a loved one etc. Tags: cecelia ahern, Lauranne heres, lily collins, love rosie, ps i love you, sam claflin, where rainbows end. Bookmark the permalink.